Our NEW Celtic Sporran with Bells. 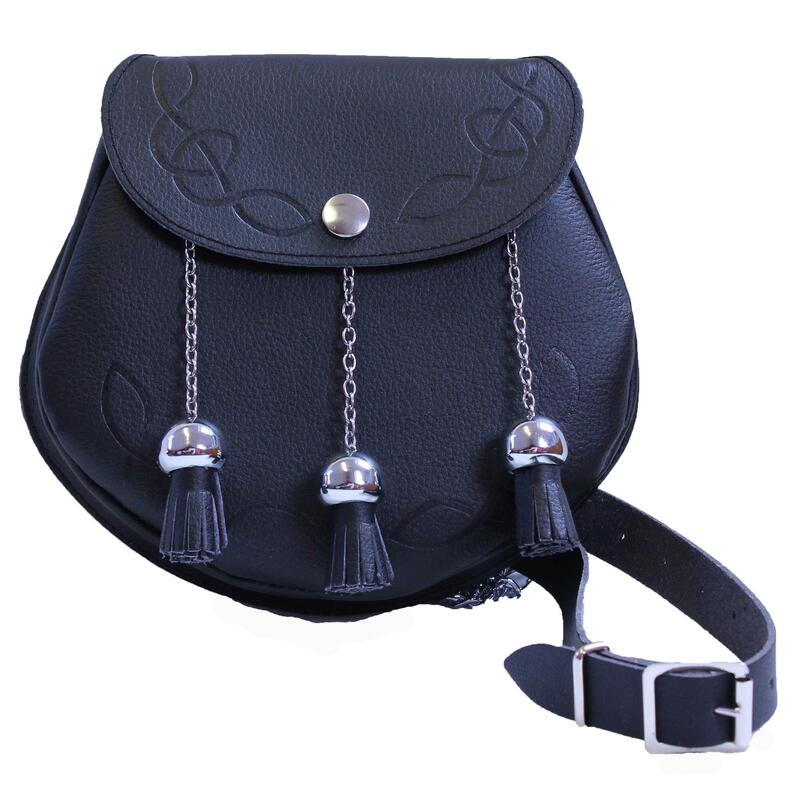 It has a Celtic design embossed on the curved flap which is held by a press-stud. The Celtic motif is also embossed on the front panel. Traditional 3 bells complete the look. Chained belt at the back. What I'm Made of : All made by hand in Black Lorica microfibre material and registered with the Vegan Society for your peace of mind.